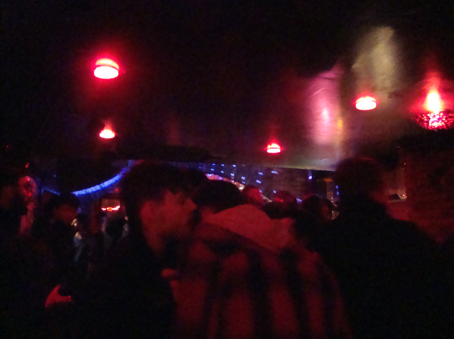 Williamsburg’s long overdue first gay bar. I know, with hipsters sometimes it’s hard to tell. And this joint certainly is nothing like Chelsea’s gay scene, but rather uberly mixed. The perfect place to bring hetero gay-shy friends. Regardless of your sexual or social preferences, you can have a fun time here. 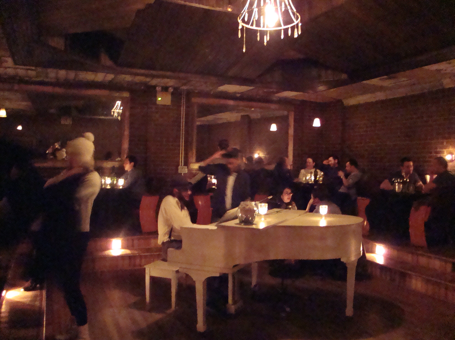 And what’s not to love, there’s a friendly dancefloor, 2 fireplaces and even video bowling. For the warmer months there is a good-sized backyard with free barbecues on summer Sundays. A swanky cocktail den that seems more in place in Tribeca than Billyburg. I guess trust-fund hipsters like the speakeasy trend just as much as the next guy. That said this place really does it right. Very nice decor! You will feel that Scott and Zelda Fitzgerald will waltz in any minute, until you realize that their drunken ways torn them apart and that both died at an early age. Anyways, this once tattoo parlour may not be a real hotel, but you will still want to spend the night here. On weekend nights Manhattan can be pretty treacherous. So if you want a plush view and some house music, why not trying crossing the bridge in the opposite direction of traffic? The Ravel is just across the Queensboro Bridge and it has one of the best views of the city. Situated on the 6th floor of the Bestwesterny wannabe designer hotel the Ravel. Now, when you get here don’t let the line put you off. If there is one, it is basically because of the 6 persons capacity elevator that is also pretty slow. But once you get up top you’ll see that the vide is pretty easy going. Also beware that they have a silly and very particular dress code: No shirts with printed logos, faded clothing, work boots or sneakers, baseball hats or oversized clothing. Hey, they are trying to run an “upscale establishment” here, if only the clubs in the MeatPa would follow. This 138-year-old Boerum Hill tavern has a impressive hand-carved wooden bar that was transplanted piece by piece from Germany in the 1870s. The crowd is almost as eclectic as the jukebox (expect anything from hip hop to obscure folk). There is a pool table in the back room. If you want some food, you can order from their thick stack of takeout menus and wash it down with a wide array of fancy brews. Those who have read Jonathan Lethem’s Motherless Brooklyn, will probably find this bar strangely familiar, after all he does live down the block. This once bait shop, now serves as one of Redhook’s laid back neighborhood bars. There is taxidermy, an Extreme Hunting video game and Blue Point beer. The bar is made from a tree that fell in a nearby church’s garden. Bloody Sundays go on from 2 pm to 8 pm and have what else, but their house special Bloody Marys and bloody good live music. This is where redneck aesthetics and neighborhood artists seamlessly come together. It works because this is not Williamsburg. Redhook is a working class neighborhood where the gentrifiers and the old timers are basically in the same tax bracket. Will it change? Well, there is the new Ikea… But, don’t expect too many hipsters to be willing to trek the 20 minute walk from the Carroll stop in order to get here. Directions: To avoid the long walk , take the A, C, or F to Jay St.-Borough Hall and take B61 bus, which will drop you off right outside.